Last month we exhibited at Middle East Electricity (MEE) , one of the world’s leading power events, attended by over 60,000 power industry professionals from across the Middle East, Africa and the rest of the world. The Middle East is one of our most important regions and we met up with many of our key customers at event, demonstrating our latest, cutting-edge medium voltage distribution solutions. Attracting lots of interest this year was our new Graphic User Interface (GUI) for our industry-leading GridKey LV/MV monitoring system. A highly visual user display, the GUI facilitates rapid and informed decision-making through clear, simple and easy-to-read screens. These can be tailored to user preferences so they can quickly reference vital, safety-critical network information. Delegates were also able to experience the latest in Virtual Reality (VR) training at our stand. For many companies, training employees to maintain electrical equipment, located in hostile, high risk environments is a major challenge. In collaboration with Practron VR we have developed VR training modules that offer immersive, simulated sessions in a safe, risk-free environment. These have been very successfully trialled in mining environments, delivering highly effective and safe training options. Also showcased at the event was our Gemini Mini Remote Terminal Unit (RTU) for monitoring and control of medium voltage switchgear. The Mini delivers comparable functionality and cost to PLC units with superior security and resilience, giving customers a robust and cost-effective solution for high volume installations. 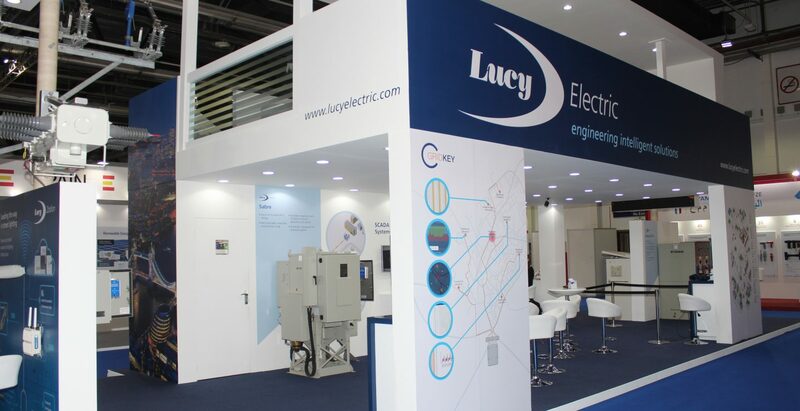 2019 was a great year at MEE for Lucy Electric and we are looking forward to taking part again in 2020! Watch an insight with Marketing Director, Phil Dingle as he discusses the role that MEE plays for Lucy Electric and the challenges and preparation Lucy Electric have planned for the future.